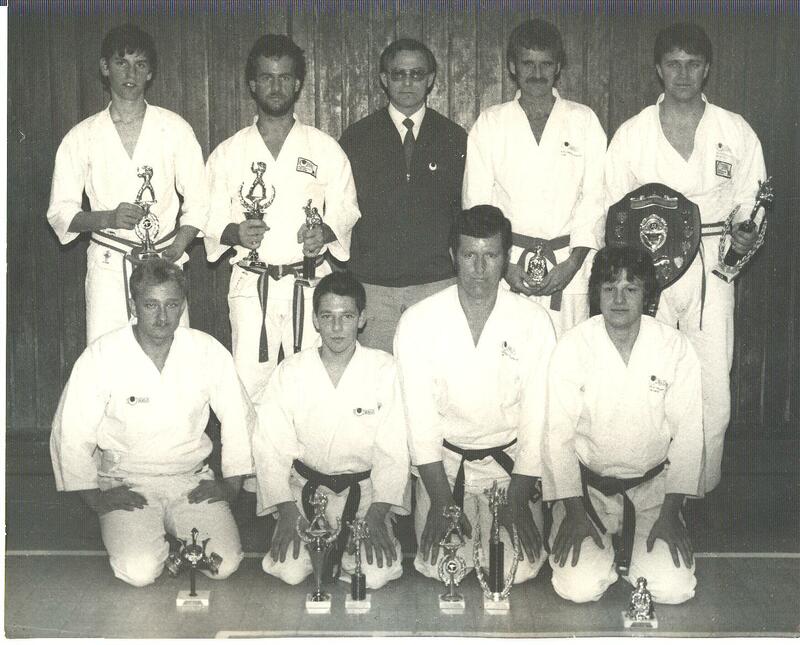 History of Portchester Karate club. 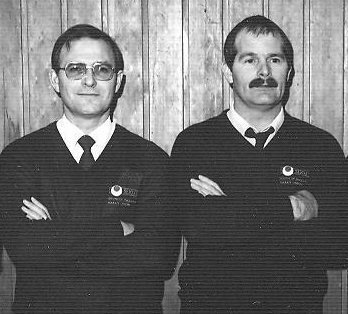 Sensei Merv O’Donnell (at the time Sandan), with the very enthusiastic help of Pat O’Sullivan (at the time Shodan), founded the club in April 1982. For the initial three weeks, the two instructors trained on their own with the objective of making the hall “their Dojo”. 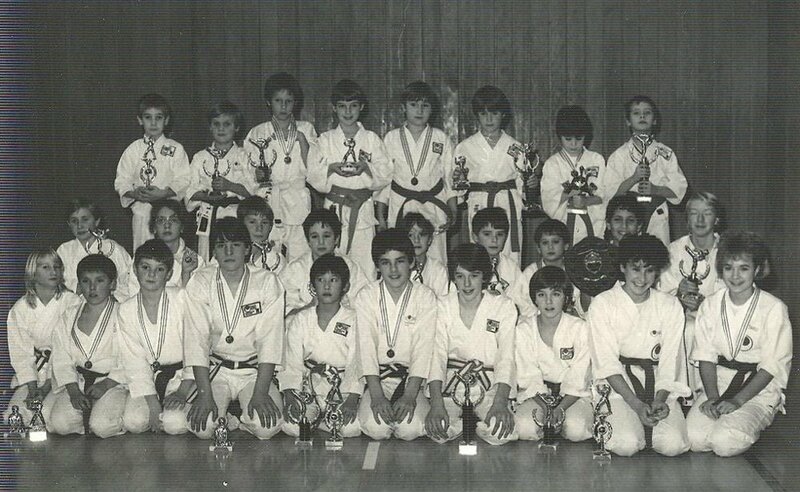 At the time it was the only Karate club in Portchester and within a matter of six weeks or so the club membership had grown to around twenty. The majority were new students in Karate but the club was fortunate in gaining three members (fairly junior Kyu grades) who had studied both Shotokan and other styles of Karate. Even back in those early days the club seemed to attract a high percentage of family groupings and to have a dad with one, two or three children training was not unusual and in some ways set the tone of how the club would develop over the years. A family orientated Karate Club. Although within a matter of three months the membership numbers were such that children and adults were split into separate sessions the club quickly gained a reputation of welcoming everyone, irrespective of age or ability. 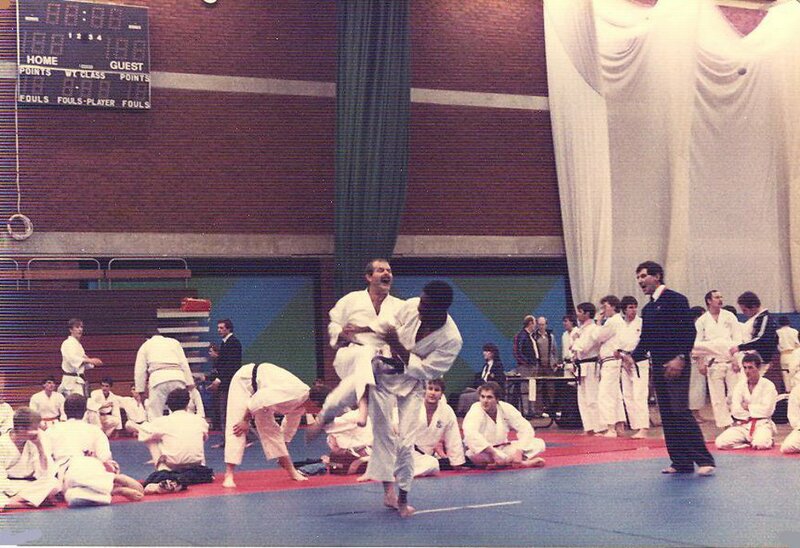 The club produced its first black belt in 1984 and this was Andy Anscombe. Sensei Merv presenting Andy with Dan grade Diploma. The club has from its start date entered all of the SEKU Chanpionships and the Portsmouth Open Karate Tournaments until 2015. 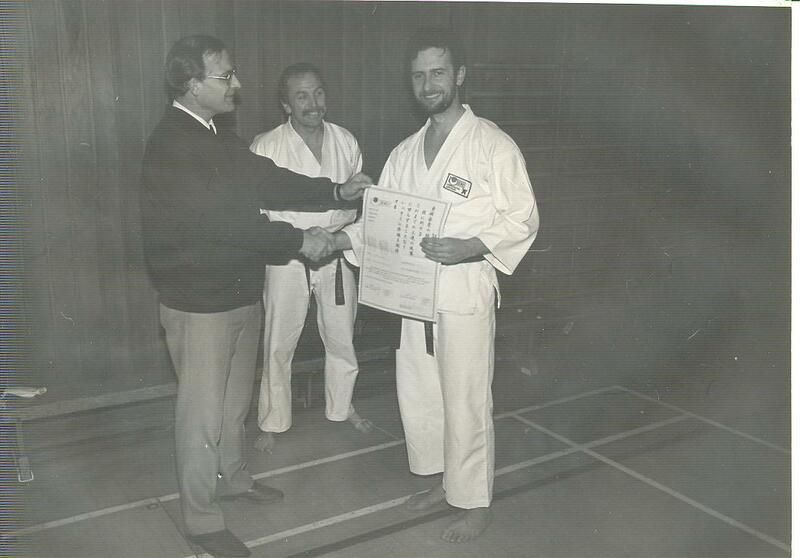 With Sensei Merv being the co-organiser, with Sensei Dewey, of the two championships, his students were always fully encouraged to enter but with the attitude of “doing their best” rather than a “must win” attitude. The result of this emphassis over the years has been that junior grades are willing to enter the competitions and face the pressures with a positive development of their self confidence and performance. From the very early days Sensei Merv has actively encouraged those of his students who wish to develop their ability to instruct/teach Karate. The result has been a high number of competent instructors developing from the club membership and moving on to start their own clubs or continue with the running of clubs in danger of closing. Sensei Merv was for several years responsible in British Telecomms for the management of an engineering training center in London and subsequently became a college lecturer. From his career background he had developed the strong belief of “team teaching” giving the best opportunity for students to develop their full potential. The current club instruction team, apart from Sensei, include 4th and 3rd Dans. The current membership apart from Portchester, Fareham and the local area also includes students who travel from places as far as Bognor Regis in the East and Winchester and Eastleigh, in the West.